Fall is just around the corner and I couldn’t be more excited. I love fall! There is so much to do and see and experience during the cool fall months. My kids also love getting outdoors and playing in haystacks and picking out pumpkins. We have several traditions that we do as a family every year and I find that fall is one of our most active seasons! Just because the weather is getting a little cooler doesn’t mean you have to stay inside. 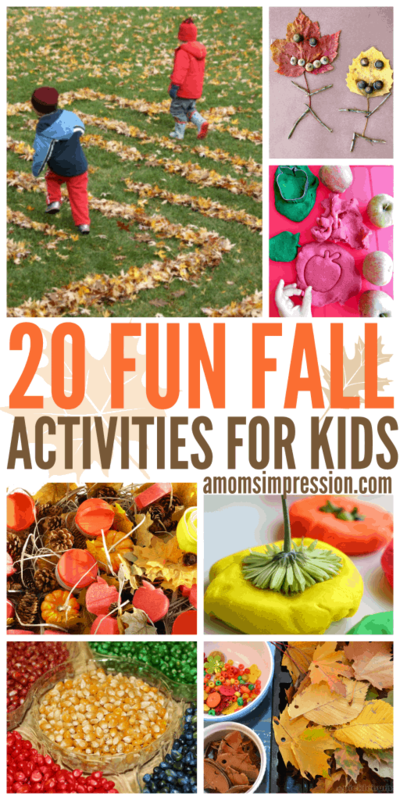 In fact many of these fall activities for kids are outdoor activities. No worries though, we have some fun, engaging activities for indoor play and learning as well. I hope these inspire you to get out and love fall time. No matter where you live or what the temperature is like, fall can be the most exciting activity time of the year. Do you have some family fun activities that are traditions in your home? I would love to hear about them, please share in the comments below! « Disney Interactive ~ Get your Game On!